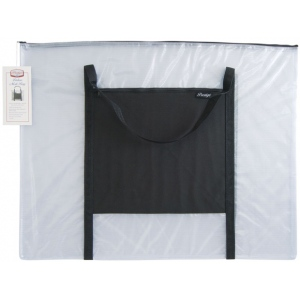 Ideal for drafting kits drawings artwork documents and much more these bags offer visibility and protection. 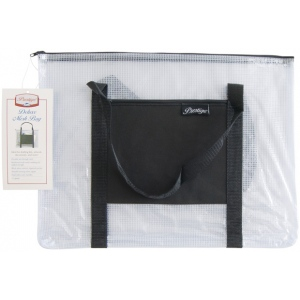 * Durable see-through vinyl is reinforced with mesh webbing for strength. 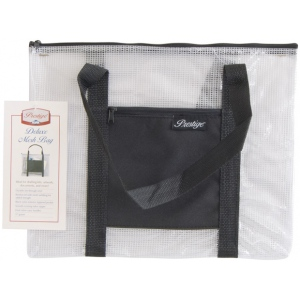 * Features a zippered top nylon carry handles and an exterior black nylon zippered pocket that’s perfect for smaller items. * Packaged flat with cardboard stiffener. The color is black/gray, clear. The material is mesh, nylon, vinyl.